When you take a medicine prescribed to you by your doctor, you assume it was tested for safety and efficacy and your doctor believes it safe to take. Unfortunately, the medical and pharmaceutical industries are profit-driven. This means that many unsafe drugs make it to market. Also, many doctors prescribe drugs that they may or may not know will harm their patients. If you’ve been injured by a defective drug, you may have a product liability case. However, going up against a large pharmaceutical company and their team of attorneys is intimidating. It can seem as if there’s nothing you can do but lose. However, with the help of a seasoned personal injury attorney, you could bring a claim for compensation to cover the damages incurred due to the defective drug. Been improperly manufactured. If a manufacturer improperly created or tested a pharmaceutical drug, they may be held responsible in a claim. Detrimental side effects. Even if the drug is created properly, there may be a failure to warn against dangerous side effects. 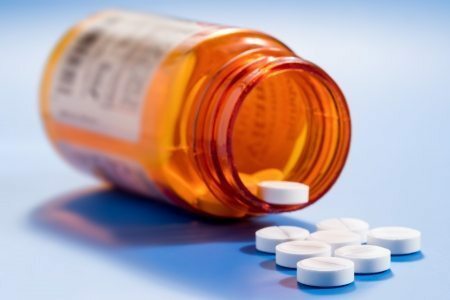 If the victim of a defective drug injury can prove that the manufacturer withheld information about the medication’s side effects, this may strengthen a claim. Been poorly marketed. Warning labels and proper use labels should be provided for every medication, both prescription and over the counter. Consumers should be completely aware of potential side effects and how to take the drug properly. Consumers should know what contraindications may exist. Where Does Liability Lie in a Defective Drug Claim? If a person is injured by a defective pharmaceutical, they may involve the doctor, hospital, pharmacy, or laboratory where the medication was tested. However, in most cases, the pharmaceutical manufacturer itself is the entity that bears the most responsibility. In order for a successful claim, you must show that you were injured and your injury was caused directly by the defective drug. Additionally, you must show that the drug became defective due to the actions of the manufacturer, and that you sustained real damages. Going up against large pharmaceutical companies is a big undertaking. Don’t go it alone – contact Appalachian Injury Law for zealous legal advocacy. Call now at (706) 515-1995 or toll free at (800) 393-8595.